What has Transformit been up to in New York City, Long Beach, New Hampshire and Philadelphia? 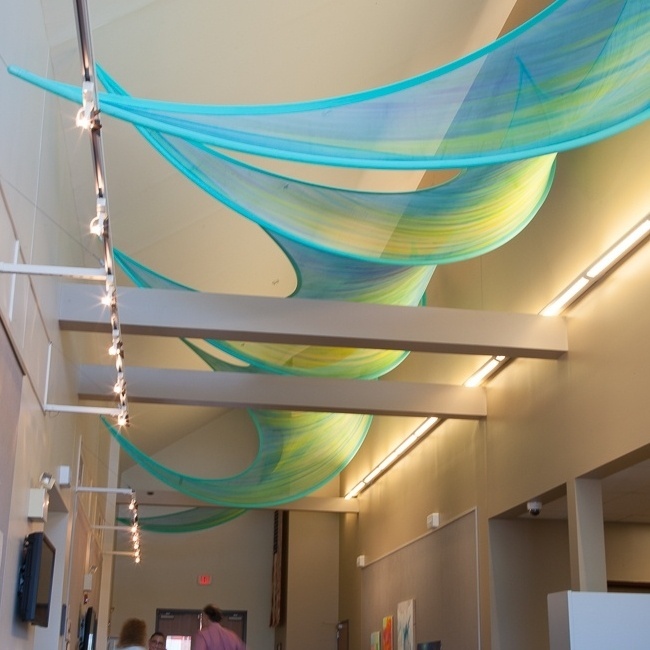 Cindy Thompson's tensile fabric sculpture, Aqua Vibrant, chosen by the New Hampshire State Council on the Arts for the Academic Commons at Lakes Region Community College. 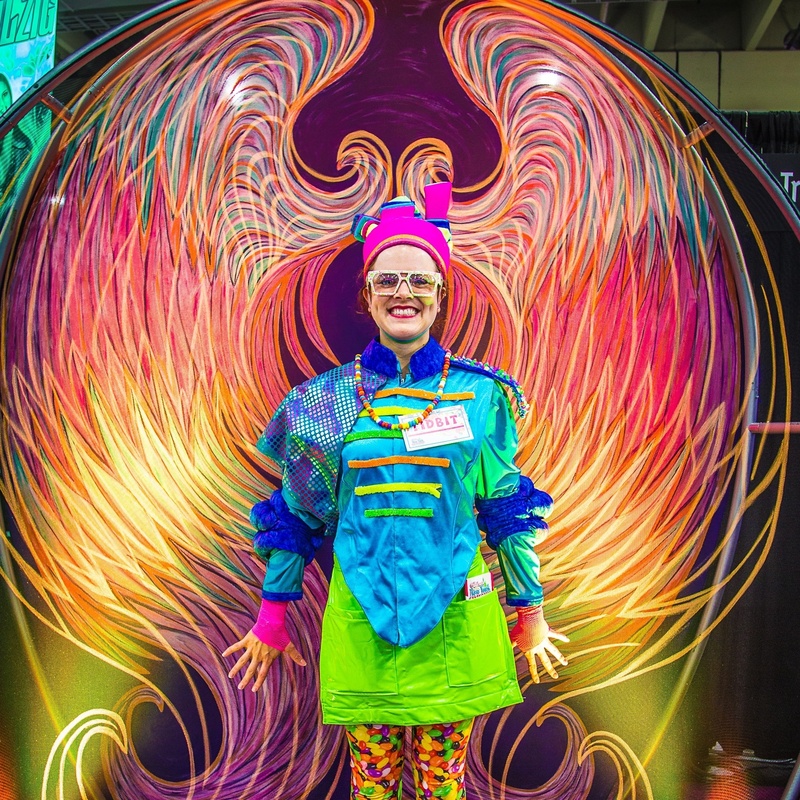 A hand painted Cherub with angel wings graced the Transformit booth at BizBash Live NYC and The Special Event 2017 in Long Beach, California. ICON plc in Philadelphia employs a modified Arabesque as a canopy over their new Starbucks barista stand. Learn how Transformit's fabric structures can work for you and your clients. View our gallery of custom work and ready-made designs available for rent or purchase and get in touch to learn more about our fabric structures from one of our project designers.